Hide deals from seller "The Computer Nerdz"
Hide deals from category "Electronics Repair"
Limit 1 per person. Valid on 2 hours of any service for computers, gaming systems, printers, iPads or smart phones. New customers only. Deal price does not include parts. Promotional value expires 365 days after purchase. Advertising solicitation prohibited. Quit rebooting your electronics and find a permanent fix with this deal for 50% off two hours of electronics repair services from The Computer Nerdz in Kenosha ($100 value). 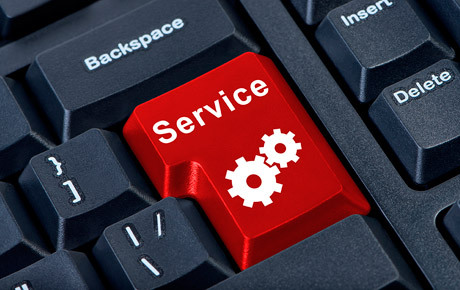 This service will put your favorite computer, console, printer, iPad or smart phone in working order once more. The Computer Nerdz is an IT company founded by passionate entrepreneur and knowledgeable techie Eric Barnes. Get expert help with virus and spyware removal, data recovery or any other computer issue that bothers you. The Nerdz will also service Android phones and game consoles, ensuring that your social life goes uninterrupted. Leave troublesome electronic issues to the nerds with this tech-savvy deal. Full-service IT company in Kenosha that offers computer repair services.